Over $100,000 Raised So Far! You are here: Home / Fort Mill Care Center News / Over $100,000 Raised So Far! Thanks to all of our generous supporters we are 1/4 of the way to our Capital Building Campaign goal of $400,000!! Over $100,000 raised so far for the ! Keep spreading the word! You can donate on the website or go to https://www.crowdrise.com/legacyofcaring. 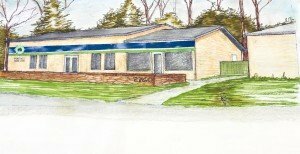 The Story – The Fort Mill Care Center needs your help! We have finally found a space to call our permanent home. The new location will ensure that there is always a place where local families can turn to in times of crisis. With YOUR help we can raise the $400,000 we need to secure the new location, renovate our existing building and build the new food pantry storage facility. Will YOU consider a contribution to ensure the Legacy of Caring?